Space considerations are primary on any vessel. Our beautiful Hi-Low tables turn dining areas into cocktail areas and cocktail areas into dining areas. 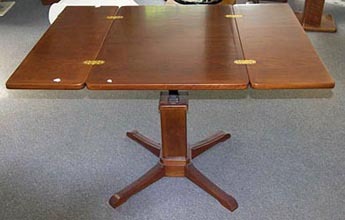 All tables adjust in height using our hydraulic lift mechanism. Height ranges from 20″ at cocktail level to 30″ for dining. 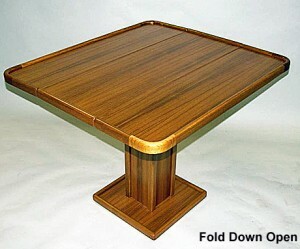 We feature our fold over design or the traditional drop leaf. 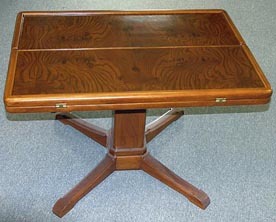 8) This cherry claw foot hydraulic hi-lo table is an example of some of our very custom work. If you have an unusual idea, please let us know, I am sure we can make it a reality. Just Call !